Practice: Business Planning; Tax Planning; International Tax; Trusts & Estates. 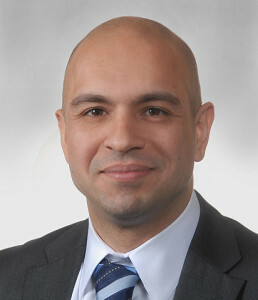 Mehrdad joined Harlowe & Falk as a partner in 2013. Prior to Harlowe & Falk, Mehrdad practiced in the international corporate tax department of KPMG LLP, where he served as adviser to multiple multinational companies, including large partnerships, corporations and Fortune 500 entities. Mehrdad’s practice includes assisting companies of all sizes, in all business and tax matters. This includes advising closely held businesses to establish new business entities, advising on regulatory and tax matters, succession planning, and tax efficient planning for purchases or sales of existing businesses. Mehrdad also provides tax consulting services to clients with international operations. His clients include both U.S.–based companies that have expanded abroad and foreign companies with U.S. ties. He also consults with U.S.–based exporting companies to determine whether they qualify for IC–DISC tax incentive benefits, and assists in both implementation and maintenance of IC–DISC structures. Mehrdad is an adjunct professor at the University of Washington School of Law, where he teaches a class in international taxation planning in the law school’s masters in tax program. He is also an adjunct professor at Golden Gate University, in the Masters in Tax Program. Connect with Mehrdad on LinkedIn!